GoodMorning Welcome to Dearne Valley Academy (DVA) School of Motoring offering tailored lessons from beginner through to semi intensive courses. Why trust DVA Driving School with your training? 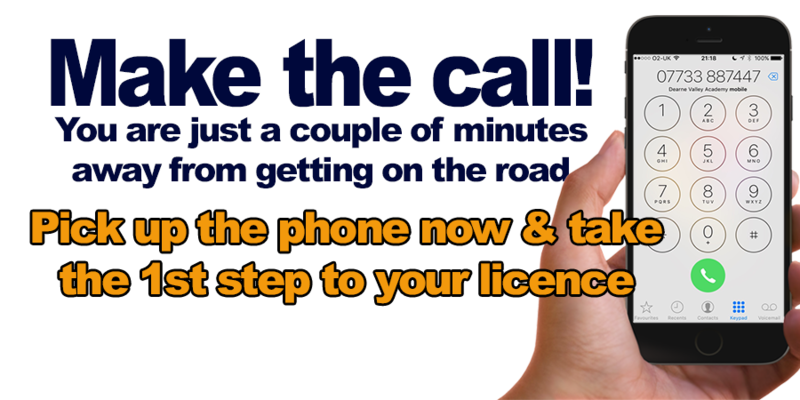 There are too many driving schools out there who are encouraging pupils to book their driving tests when they aren´t quite ready yet, resulting in failed first time driving tests - so why don´t you increase your chances of passing first time by joining DVA Driving School today! We can tailor a course of lessons so you can take your driving test in a few weeks through a semi intensive course or at a more relaxed pace of a few months. My name is Mark Cowdell and I am a fully qualified and experienced driving instructor, approved by the DVSA. Each one-to-one lesson will consist of both professional and friendly advice, giving you the right level and pace of tuition so you learn in a way that makes sence to you, making the level of progress you are happy with. Driving lessons start off road learning the main controls, progressing to controlling the car up and down hills, basic junctions in housing estates. This leads to confidents and greater car control ability, on road now starts with the rural, country drive through to town and complex junctions. Learning this way reduces the amount of lessons needed and gives you a higher control ability to pass first time. We have the experience and patience to help with those who have Dyslexia Dyspraxia and Asperges, call for advice or a chat. Whether you are a beginner, experienced, nervous or confident, each pupil is special and requires their own unique structured lesson plan which will be logged regularly. This in turn allows both pupil and instructor to keep a detailed progress record to ensure that the best coaching technique along with the best possible chance of passing first time. Please check the Passers Gallery for some of their comments. My aim is to develop your driving skills so that you pass your test first time, and also become a safe and confident driver for life! we all learn in a different way,our experience in the driving industry allows us to treat each pupil as an individual and to build a learning plan to their own needs.